And it’s done! 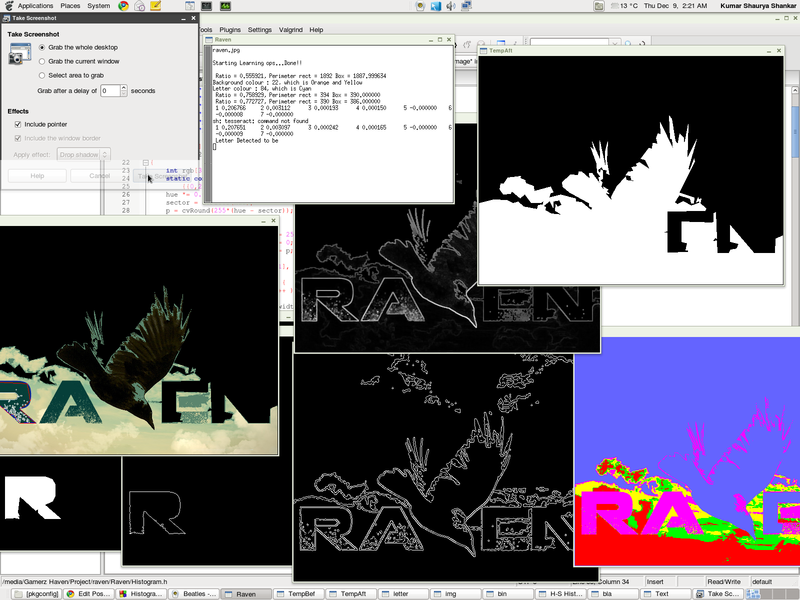 | I Code Raven! Yes! Finally! I got the code working on linux! The next step involved copying all my source files and headers in the project directory, and including them in the project. And that’s it! Further development work, most notably getting the letter and shape recognition neural networks working. That shouldn’t take too much effort – the new interfaces can be explored. Updating the code to C++ according to the new framework. Now that would involve considerable (re-)learning. thank you !! u made it easy :D, lesson learnt: read everything coompletely!